Cross-laminated timbers (CLT) have been a consistent presence in European markets for over 20 years, but the U.S. market has been slow to adopt the technology. That’s changing rapidly. 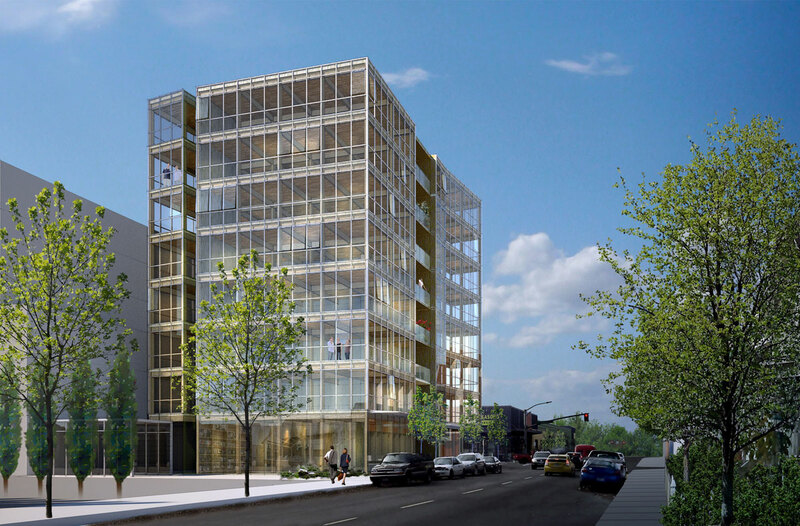 In Oregon alone, numerous projects are under development that will use CLT as the primary structural building material, including Western Oregon University and a Pearl District development planned by Albina Bank. Carbon12, another development in Northeast Portland, is considering either CLTs or glued-laminated beams. Minneapolis is planning T3, a 210,000 square foot commercial office complex made of wood. While Oregon dips its toes into the CLT market, Europe continues its plunge into the deep end. A collaboration between a Vancouver, Canada-based and French architectural firms is promising to bring the world’s tallest wood building to fruition. The 35-story apartment project in Paris aims to help solve the French capital’s housing challenges in a sustainable, creative and environmentally-friendly manner. The Hoho Tower in Vienna is also under development, which is a planned 24-story retail and office complex. And Treet, a project in Bergen, Norway, is a comparatively small 14-story building with 62 luxury apartments. It will use a combination of CLT and glulam. What’s clear is that the hurdles to using wood in tall buildings are beginning to be removed. Access to certified material at a competitive price, modernizing of building codes, and technical capacity in the industry are all improving daily. So, it’s easy to see why analysts predict the market for Cross-laminated timbers (CLT) in the U.S. could reach $4 billion annually. With an abundance of renewable raw material to supply the market, tall wood buildings will be a growing presence in the market.